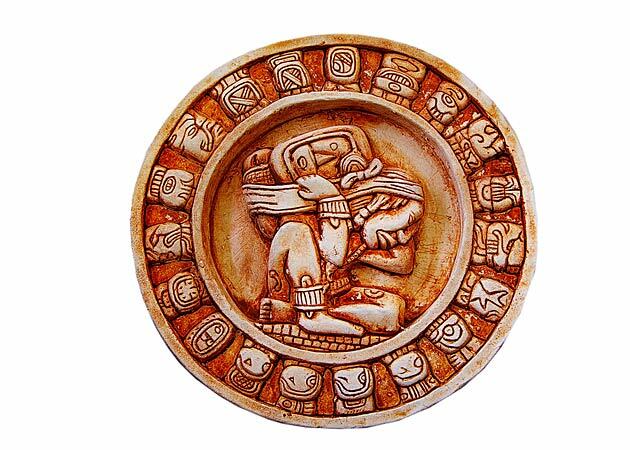 The Maya Civilization has earned a great deal of respect. Beginning sometime around 2000 B.C., they had a fully developed written language, as well as well developed art, architecture, mathematical, and astronomical systems. They seemed to be pretty danged smart and sophisticated. And yet, they did themselves in by over-consuming their available resources. They had an amazing rainforest, and they cut it down. Why would they do such a thing? If we look at human history in terms of the major stages of technological-economic development, we see periods moving from foraging to horticultural to agrarian to industrial, to informational. 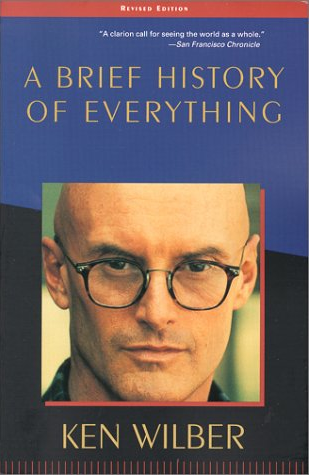 American philosopher Ken Wilber sees each of these stages as signs of the advancing evolution of human consciousness, and he associates them with changes in worldview of the various epochs of human development, using terminology from Jean Gebser: archaic, magic, mythic, rational, and pluralistic. The Mayans were firmly in the agrarian period, with the mythic worldview, and their accomplishments were quite amazing for their time. Having moved beyond foraging, and beyond horticulture (based on usage of a hoe), the agrarian period made use of heavy animal drawn plows. This advance provided other opportunities for some of the privileged men in these societies, due to a huge surplus of food that was made possible from the new technology. And so highly specialized classes arose, which made possible the development of things like mathematics and written language, and astronomy, and many cultural endeavors. Warring small tribes came together into larger wholes of social organization, beginning to pave the way for nation-states to eventually develop. Ken Wilber points out that it was during this agrarian period that a class of individuals arose that had enough time freed up to be able to contemplate in depth their own existence. It was during this period that the great sages existed, including Gautama Buddha, Lao Tzu, Parmenides, Socrates, Plato, Patanjali, and Confucius. The first point being, that the agrarian period brought some pretty major advances that I am quite thankful for. And the second point is that these advances were made possible by the conditions that had changed, and would be extremely unlikely if we had not moved beyond the foraging and horticultural stages. However…Ken Wilber also points out that every new stage always brings with it a new set of problems. KW: Yes, the idea is that every stage of evolution eventually runs into its own inherent limitations, and these may act as triggers for the self-transcending drive. The inherent limitations create a type of turmoil, even chaos, and the system either breaks down (self-dissolution) or escapes this chaos by evolving to a higher degree of order (self-transcendence) – so called order out of chaos. This new and higher order escapes the limitations of its predecessor, but then introduces its own limitations and problems that cannot be solved on its own level. In other words, there is a price to be paid for every evolutionary step forward. Old problems are solved or defused, only to introduce new and sometimes more complex difficulties. …Wherever there is the possibility of transcendence, there is, by the very same token, the possibility of repression. The higher might not just transcend and include, it might transcend and repress, exclude, alienate, dissociate. Some of the inherent and complex difficulties that were quite common during the agrarian period include: dominator hierarchies, with Empires at the top of that hierarchy, and overshoot (exceeding the carrying capacity of the environment and resource base). 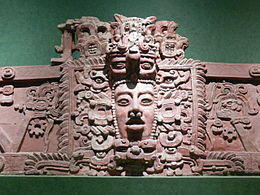 The Mayans had already moved from foraging to horticulture, and that meant not only that they could begin to bind various contentious tribes into a larger and solidified social structure -–and not only that they could, via farming, free a class of priests to begin developing mathematics and astronomy and a sophisticated calendar – but also that they, in a way foragers never could, begin to deplete the rain forests. They transcended mere foraging, only to go too far and dissociate themselves in certain crucial ways from the biosphere, which was altogether suicidal. They didn’t differentiate and integrate, they dissociated and alienated. They didn’t transcend and include, they repressed and denied. Since the biosphere is an internal component of the human holon, they secured their own destruction. So this theme – transcendence versus repression – is an altogether crucial theme of historical development, and we want to watch carefully for signs of repression at each stage of human evolution, individual and collective. “Transcend and Include” is one of the mantras of Ken Wilber’s Integral model, and in this context it refers to the idea that as each period Transcends the previous period and moves to a higher level, if it does not Include the best aspects of the levels that came before it, there will be big problems. Foraging and horticulture had a closer symbiosis with the rhythms of the natural world, and as human society moved beyond those structures, we become more and more distant from those processes. And the replacement processes as technologies advance allow increasing amounts of destruction to our biosphere. The primary cause of any ecological devastation is, as we were saying, simple ignorance. It is only with scientific knowledge of the biosphere, of the precise ways in which all holons in the biosphere are interrelated, including the biological holons of the human being – it is only with that knowledge that men and women can actually attune their actions with the biosphere. A simple or sacred respect for nature will not do. A sacred outlook on nature did not prevent numerous tribes from despoiling the environment out of simple and innocent ignorance, and did not prevent the Mayans from devastating the rain forests, and it will not prevent us from doing the same thing, again out of ignorance. Roszak points out that it is modern science, and modern science alone – the ecological sciences and systems sciences, for example – that can directly show us how and why our actions are corroding the biosphere. 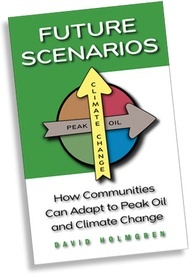 If the primal tribes knew that by cut and burn they would ruin their habitat and endanger their own lives – if they actually knew that with a scientific certainty – then they would at least have thought about it a little more carefully before they began their bio-destruction. If the Mayans knew that in killing the rain forests they were killing themselves, they would have stopped immediately, or at least paused considerably. But ignorance is ignorance; whether innocent or greedy, sacred or profane, ignorance destroys the biosphere. They know not what they do. As advanced as they were, they didn’t have systems ecology to give them the understanding that what they were doing was going to bring destruction in the long run….and neither did the preceding stages. In fact, some argue that the earlier stages also had the tendency to over-consume resources. Ken Wilber makes a very important point: To dissociate with the biosphere is suicidal, because “the biosphere is an internal component of the human holon.” However, in general Wilber tends to put more emphasis on the “technological-economic” structural base behind the periods of human history than he does on the biosphere that supports and makes that technological-economic structure possible. 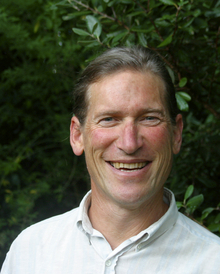 On the other hand, Permaculture co-founder David Holmgren brings more attention to the ecological framework that makes possible different technological-economic structures. The broad processes of human history can be understood using an ecological framework that recognises primary energy sources as the strongest factors determining the general structure of human economy, politics and culture. The transition from a hunter-gatherer way of life to that of settled agriculture made possible the expansion of human numbers, denser settlement patterns and surplus resources. Those surplus resources were the foundations for what we call civilisation including the development of more advanced technologies, cities, social class structures, standing armies and written language. Archaeology records a series of civilisations that rose and fell as they depleted their bioregional resource base. Lower density simple agrarian and hunter-gatherer cultures took over the territory of collapsed civilisations and allowed the resources of forests, soils and water to regenerate. That in turn, gave rise to new cycles of growth in cultural complexity. In Part 3, we’ll be looking at the Industrial period with the rational worldview. I love this David! What a contribution. I love to see the over arching big picture. Thanks for taking the time to write this and share it here.